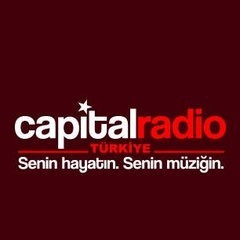 Capital Radio Turkiye live broadcasting from Istanbul, Turkey. Capital Radio Turkiye is one of the most famous online radio station on Turkey. National Capital Radio broadcas 70s, 80s, 90s, alongside the popular foreign songs, giving the place the millennium hits. Launched in 1993 and started to play the music lovers of all ages captivating Capital Radio, on December 2, 2013 Capital Radio started broadcasting in Turkey. Capital Radio Turkey; 101 in Istanbul, Ankara, Antalya, Bodrum, Izmir, Mersin, broadcasts from Trabzon and many other cities in the 99.5 frequency.